To see the room in its entirety and not Instagramed, please click here. To see source list, please click here. 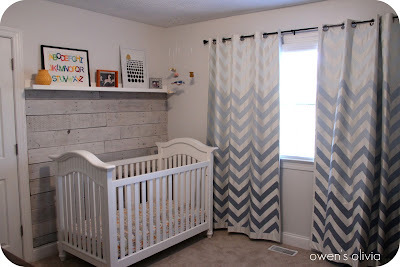 First off, let me say thank you for all the sweet comments so far on Owen's room. I really appreciate them! Second, I need to go ahead and let you know that I am artistic and creative, if you don't know that already. If it weren't for those two things, I am not sure if I could have pulled off his room as cheaply as I did. It took me several months to plan. I say plan but I really didn't plan out the design. No mood board. No drawings. No lists. And if you are saying I am rock star for being able to pull that room off without a plan, I'd tell you there's a whole lot more to it than meets the eye. I sat on that room for a few months because I didn't have a plan, and I made a few mistakes along the way, all of which could have been avoided. I was also very wishy washy. 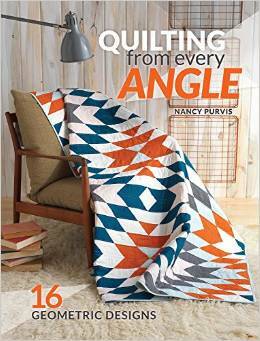 All I knew was that I wanted to keep my blue chevron curtains in the room, have a rocker, and use orange accents. Well, the latter didn't happened. It wasn't until a few weeks ago that I had a surge of creativity. This is usually how my creativity works, so I am use to it by now and take advantage of it when it does strike. I usually drop everything I am doing to make my thoughts into reality. I just wish it were more steady. :) I wish I had taken a picture of the room during its progress to show you the dormant state it was in for months. Another reason my surges of creativity is actually a flaw. I don't think. I just do. So let's take a tour of the room (again) but with lots of commentary and a few Instagram photos. Think of it as watching a movie with the director and actors explaining certain scenes. I'll start with the crib wall first. I will admit this side of the room didn't have as much going on as the others, BUT there are a few big reasons for this. Owen is in constant destruction mode. He feels the need to touch/pull/mouth/throw anything within his reach. If he could type to defend himself, he would just say he is curious. The above is why I hung a few ounces of fabric on the wall. I know people like to hang photos, artwork, or shelves above the crib, which I had originally done earlier but will talk about that later. If I wanted artwork or anything with potential of crashing down because of two little hands, I would have hung it. But really, who wants to pick up shards of glass 2 am in the morning? The bunting couldn't have worked out more perfectly. I love seeing bunting in childrens rooms, and once I hung mine up, I fell in love. I think they are lot of fun. I hung it up higher than he can reach, so I wouldn't have to deal with hanging it up everyday. Owen is 27 months old, and he climbs out of his crib on a daily basis. We are now to the point that Owen comes to wake us up in the morning. With this said, there is no longer a need for a crib. And with that said, there is no need for fancy bedding like a bumper or crib skirt. I'll be making him a toddler bed sometime in the future. So those are the reasons why that side of the room looks the way it does, which I think looks pretty darn good. The other three walls are all my favorite, and I am not sure I can say I have a favorite among them, though the wood wall is very nice. So I'll talk about that next. I remember seeing a picture of Katie Bower's pallet wall in her nursery, and I wanted to do that. I loved its rustic feel and the texture it brought into the space. After I had collected my wood, measured, trimmed, sanded, and nailed into the wall, I began to see how much work was involved in the entire process. You can read more about that post here and here. I was about a 1/4 of the way in when I started to think about my options for the wall. Yes, I could go all the way up to the ceiling, but one day a picture of Shelley Smith's gallery wall popped into my head. I loved the versatility that wall brought, and it made it useful. I knew right then and there I was going to make my own gallery wall. I decided to combine the two ideas and place the crib underneath it. I made the shelf high enough so Owen could not hang from it. It was a total win for me because I didn't need to prep as many boards, and I got to display art in his room. You may remember seeing the wall like this when Better After featured it. It was never my intention to move the crib to where it stands now. But I am glad I did. After that feature, Owen had been sleeping in that spot for a few weeks. And every morning and nap time I would find the curtains in his crib. I was so scared to death he was going to rip out my curtain rod! I shamefully admit too that I was more concerned about the curtain rod than his safety. Where the crib is today stood a really nice, old dresser from Salvation Army. The dresser is a beast. I'm talking 72 inches long. That is huge for Owen's room. It was in the only place that could accommodate the dresser. (Remember, I have my mirror on the other wall that is at toddler eye level, didn't want to place it in front of my curtains, and it was too long to go up against the wood wall.) To make things difficult for myself, I decided I didn't want a brown dresser in the room anymore but rather a white one. Our only white dresser was in the craft room. After playing musical chairs with dressers, the small white dresser replaced the big beast. I wish I had a taken a photo to show you the scale, but the scale was all wrong. It looked so puny against a long white wall. I tried adding frames above it to help balance things out, and it just looked plain awful. Which brings me back to the curtain frustration. Remember, I really wanted the crib to be against the wood wall. The whole reason I built the wall accent was to place the crib in front of it, but I had to switch the crib and the dresser. Boy, that was the best decision I made in that room!!! It was a done deal once I saw how nice it fit the space. And it tied in with the white shelf above it. Now Owen could no longer try to kill himself . . . or damage my walls. The shelf was made using Ana White's plans. They are so easy to make and only cost $10 to make. I simply placed the shelf above the boards and screwed it into the studs. I really love that I can change out art when needed, and I can display dimensional art as well, which you can see with the cloud. It also makes a handy place to store things you don't want a two year old getting into. See this lamp shade? This is what happens when you spend two nights trying to make a pattern work for a shade, and it just won't. I own a very lovely chevron print (Premier Prints Corn Yellow ZigZag), and the yellow color was absolutely perfect for the room. But I couldn't use chevron. No, no, no. It would have looked like the Princess Chevron threw up in his room. I played around with the pattern making several cuts and sewing each piece together to create a panel that would cover the shade. Since my shade is not a drum, that meant my pattern would go lopsided at some point, which it did. I was completely bummed, but I didn't give up. I tried something else with the same fabric, but I don't remember what I did. Obviously, that was a fail too. 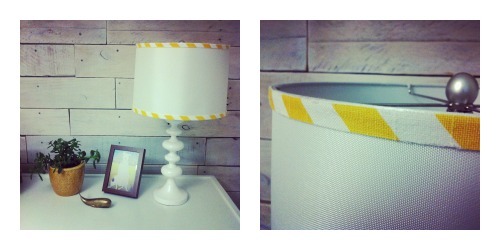 So I cut a chevron in half and used it as ribbon trim for my shade. I just had to incorporate that shade of yellow into his room, and three days later, I did. If we rotate 90 degrees, we face the beautiful chevron curtains. I bought plain curtains for my bedroom. I loved them so much, I went back to get curtains for Owen's room, but I bought an off white color instead. I took them home and painted them a faux ombre (because it ain't real ombre, my friends) blue color. You can read more about that post here. I ran into a little problem when hanging the curtains. After holes were drilled and curtains hung, I realized the curtains were too short! How did I not realize I bought 84" curtains??? Yeah, those curtains were at least 6" off the floor. Hilarious. My curtains were literally wearing high waters. If you don't know much about hanging curtains, they look best hung 3"-5" from the ceiling. Yeah . . . that ain't gonna happen in this room. So I had to hang my curtains low like many people already do. One trick I did use was to trick your eyes into thinking my window is centered in the room, which you can see in the above photo. I intentionally bought a longer curtain rod and hung two panels instead of one. This makes the room feel a little larger too. For the longest time, I didn't open the left panel all the way. It just looked odd seeing a bare wall next to the window. And for the longest time, I didn't bother to open the curtains just because of that very reason. What a shame. The idea to place frames next to the window didn't happen until a few weeks ago, and honestly, I don't know how I thought of it. I think I was moving the rain cloud art around, and in the process, my eye caught the image against the window during passing. Did that make sense? So I hammered a nail in and voila! I loved it. I just needed to add two more prints below it to make it more cohesive. Since a rain cloud was at the top and I already had the "You Are My Sunshine" print, I thought it would be appropriate to continue the children's song. Now I can open the curtains and feel good about it. It just makes me all happy inside when the curtains are closed, and I open them to find a little surprise there. (I really felt like inserting the words rainbows and kittens into that sentence somehow, but I couldn't muster the guts to do it.) I don't know if people will pick up on this and try it out themselves (or if they even like the idea), but I say go for it. Design will only be pushed as far as you let it. Ooo, let's put that on a poster! We continued the shelving to the other side of the room. Originally, they were built to store his books. I thought with a rocker by its side, we would have easier access to the books. I was right on that part. What I wasn't expecting was how much control Owen wanted over picking the books. That is when I knew I had made a mistake. If he can't reach the books, he won't want to read them. It became very clear the books needed to be at his level, so I moved them to the closet. I knew I wanted a rocker to go in the corner, so I made sure the shelving did not interfere with that as well. Ah, the rocking chair. The infamous shoot me now rocking chair. Well, not the rocking chair that currently sits in his room but my previous rocking chair. The one that was suppose to go into the room. I had picked up a chair for free, and I needed to slipcover it. Needless to say, it was a disaster, and you guys haven't seen the "finished" product until today. Isn't that awful? Some may say that it looks great (sans the uncovered cushion and length), but trust me. I ghetto-fied that piece fo' sho'. If you don't live in the South, I am sorry if you had problems sounding out that last sentence. One reader was my big cheerleader in getting the job done, and I thank her tremendously for it. (I also thank Amanda who helped me understand how to piece a slipcover!!!!) I told that reader that I just had to stop the project for my well-being. It was making me upset and was emotionally hurting. Call me a wimp for letting a DIY get me down, but slipcovering is a difficult job. You can sense my pain in this post and my frustration in this post. I gave up the rocker completely, and I posted it on Craigslist. (Apparently it is ghetto even for the ghetto because that piece is still on Craigslist!) Though I am happy from what I learned about slipcovering, I will not attempt it again for a long while. The bad slipcover job was actually a blessing in disguise. My design eye would have loved to have a Monte rocker in the room, but my bank account can't support a $1000 rocker, even if it is handmade in the US and has the most superior fabric covering its frame. So I purchased this antique rocker off of Craigslist. While browsing for rockers, I wasn't too sure about a wood rocker. I mean, how comfortable can they really be? Well, my friends, this rocker is comfortable. It fits the curve of my back perfectly, and it rocks well. When I purchased it, it did not come with a cushion, so I had to sew one for it. The seat is actually metal, and it has the coolest exposed rusty nail heads. The curves of the rocker are great too. It helps break up all the angles in the room. The color is espresso, and I was pleasantly surprised how well it blends into the space. After seeing the dark brown rocker in his room, I am positive the white slipcovered rocker would have been too matchy. Too much white. An added bonus to the wood rocker is the ability to clean it. I would have been able to bleach my slipcovered rocker, but I can take off my pillow cover and bleach it too. Speaking of the cushion, I originally had Premier Prints Chipper in Storm covering it, so you can see how I changed my mind on that as well. Since the fabric was white, I added a pop of yellow by adding a small pillow, which is also used as a head pillow for Owen. I love double duty. And to help cut costs, I used the yellow fabric for only one side of the pillow. As for decorating the shelves, that did not come until a few days before the reveal. I was a little stuck on that since books were no longer on them. I wanted it to be practical, yet a display for art and a few mementos. It wasn't until the last minute that I realized I had not included any photos of Owen in the room. Nada. I fixed that pronto by dedicating the top shelf with photos of the family. Adults can easily view the photos, but they are still high enough that even if Owen bouldered his way over to the top shelf, he couldn't reach them. I also included a few old and new wallet size photos of him and displayed them throughout the room. Matt and I LOVE Death Cab, so it was only natural to include a print in the room. I didn't realize until I had received the print that the driver is headless. Go me. The wall with the two shelves still needed a little something more. I had a gold mirror that Matt and I bought weeks after we got married. It was a nice mirror, but it was just collecting dust. I painted it white and rubbed off some of the paint to expose the gold. It gave it more depth and warmth. I placed it in an odd spot, but to me, it isn't odd at all. It is perfect for babies and toddlers who enjoy watching themselves in a mirror. I catch Owen looking into that mirror often, and that confirms I made the right decision. Yes, it gets caked with hand prints, but I don't mind. As for the corner of that wall, I originally had a local art market/fair poster hanging up, along with his framed foot prints and my "You Make Me Happy" print. I decided I needed to put something baby-ish in the room. I have never been a fan of baby/toddler rooms that are filled with Donald Ducks and baseballs. It's just not my style. So the fact that I hadn't included any baby items into the decor (other than stuffed toys) sort of bothered me. I wanted it to reflect a child's room to some degree without the crib being a dead giveaway. That's when I found the perfect frame at a thrift shop. The glass was slightly damaged and chipped at the very top. Perfect! I loved that it didn't scream brand new. The size was perfect too. I bought felt letters and glued them to white paper. Simple, right? Framed and in its place beside/behind the rocker was perfect. The rug was not planned. I coveted a rug from World Market. It was cream/white/light gray wool rug. Lots of small horizontal stripes. Very Scandinavian looking too. The price was $250, and I just couldn't let myself buy it. It was too expensive for a toddler's room. Boys are messy. Dogs are messy. But if I had a lot of money I would have bought that rug in an instant because I knew, and I mean I knew, it would be perfect for the room. Like angels sang when I saw the rug. I waited for a few months checking back often to see if it had gone down in price. I told myself that because the rug was that awesome, I would pay $200 for it. The price never went down, and I was without a rug. But that was okay because I wasn't really planning on having a rug . . . unless it was my dreamy WM rug. While browsing Lowe's one day, I came across a commercial gray rug. The color was nice and not too dark. But oh my word. It was commercial. Like the rugs I used to see when I was waitress, and they prevented us from slipping on the floor. Yes, the texture is rough but totally bearable, and the bounding is not perfect. After having it in the room for a week, I was sold. It worked so well for my son and for my dog, that I tossed the receipt into the trash. Did I mention I only paid $19 for a 5' x 7' rug? In the future I may paint it to add a little graphic to the floor. We'll see. How the room evolved from blue and orange to blue, yellow, gray, and black is beyond me. I really can't say what happened that changed that course. The tricky part of using black and yellow in home decor is to not make it look like a Blind Melon bumble bee. Somehow, I miraculously pulled that one off. Though I would be honored because we use to raise honeybees. They are the sweetest little things ever. Here's a shot of me with them when I was 10 months pregnant. Using his closet as a toy chest was a no brainer for me. I can toss all his crap into that closet, and close the doors. My kind of cleaning up! The large tub is perfect to toss large and small items into. I moved a small bookshelf into his closet to store his books and a few toys. After knowing I couldn't use my floating shelves as intended, I transferred his books into the closet. It's so nice to say, "Go pick out a book to read" and he does because he can. As for storage space, we use every bit of space on the shelf in the closet, though I didn't think you would like to look at all that crap in the reveal. I keep his clothes in two drawers max. If they are full, it is time to get rid of stuff. Also, we keep toys at bay by getting rid of old toys when new ones come in. The other drawers hold crib sheets, train tracks and puzzles, shoes and socks and cold weather gear, and diapers. If you read this entire post so far, I am amazed and completely honored that someone is actually interested in my thought process. Let's high five. If you're a germophobic ( Mysophobia for the politically correct), here's your thumb up. Let 's take a look at the before and after. Ah! There's the gold mirror! Let me just say that white-ish paint is the bomb. You can see more photos of the room here. I'm sharing the source list with you on Wed., so I'll see you then! Love it Nancy. 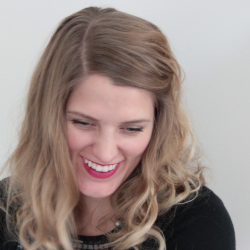 I actually like hearing your process (but you probably already knew that). As you know, I have been having some "gee whiz" freak out moments over here. Totally on the cool down now... Let me know when you are free, we need to get together... Sunni Sky's maybe? I'm just loving this room Nancy! You really did an amazing job. 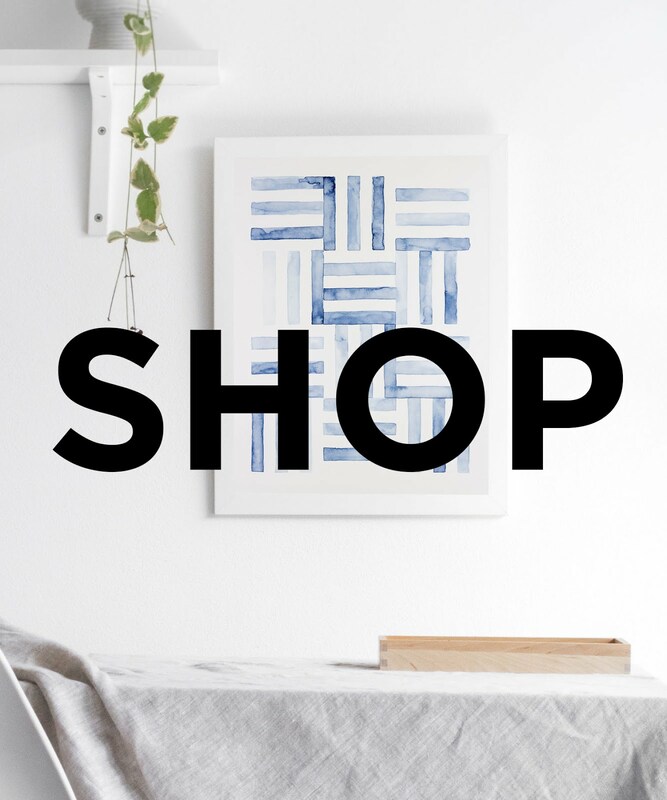 Saw it featured over at Home Stories A to Z today. Congrats! You design a lot like me;) I do start out with a plan, but am forever changing my mind! Sometimes what looks good on paper, or even in your head for that matter, doesn't always turn out as expected. I'm always leaving projects and sitting on them for awhile until inspiration hits again. Brilliant move with the pictures next to the window, and I'm in love with that rocker. Way better choice than the slip covered one! Awesome to hear your tought processes. I love it, the thought process sounds a lot like mine. I have an idea and it just progresses. After a few years off from this type of projects I am coming back in the mix and my blog is changing too. I am going to start posting my house remodel in progress. I am so sorry you gave up on the chair, I would have loved to help you through it, If I slip cover my living room chairs again, I will do a tutorial and let you know! Really an interesting post! I'd love to have Owen's room for myself...well, okay, maybe with an adult sized bed instead of a crib. 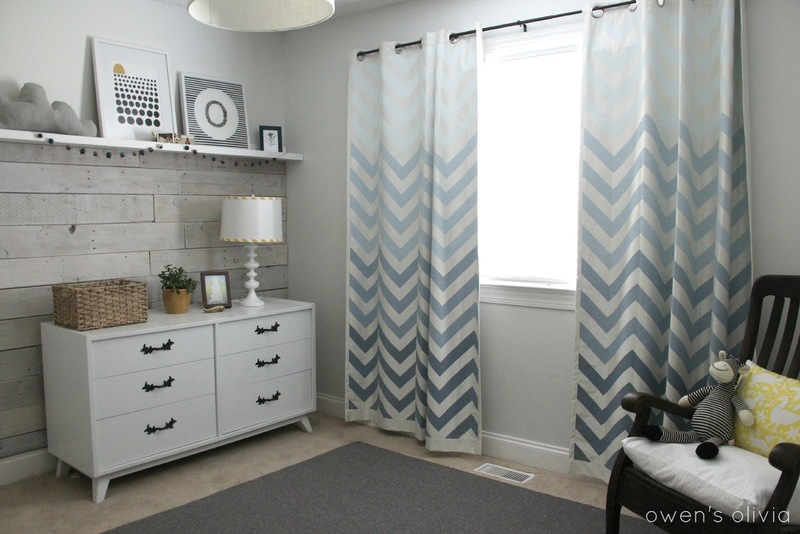 I really like the pallet wall and the ombre chevron draperies. Found your site via Young House Love. This room is amazing. What a great room! Found you via YHL. Here's for a high-five because I totally read this whole post! I'm currently lacking any inspiration for our upcoming baby (and feel obligated to work on food storage instead of decorating)! It was fun to read through what brought you to your final look. I love to see how it evolved and it's reassuring that when I start working on the room it doesn't have to be PICTURE PERFECT at first and that I can make changes as I go. UM, HELLO! I just saw this nursery for the first time and WOW. I am seriously loving these touches - the pictures behind the curtains, the wood behind the crib, the artwork, the curtains! simply amazing - love it! lucky owen!